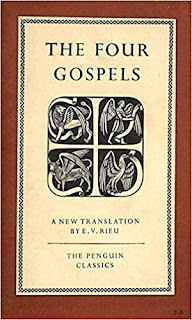 In The Four Gospels, Emile Victor Rieu refers to the Gospel writers. St Mark's Gospel is thought to have been written about A.D. 65 and was probably the earliest of the four Gospels. Mark makes no mention of the Nativity story. John makes no mention of the Nativity story. Matthew's Gospel was written about A.D. 85 for the use of the 'Jewish-Christian' community in his area. Luke's Gospel was written about A.D. 85 for the Greek world. John's Gospel was written about A.D. 100. The Gospel writers, who all were apparently Jewish in origin, insisted on the Jewish origins of Christianity. Thomas Sheehan, Loyola philosophy professor and author of The First Coming: How the Kingdom of God Became Christianity, maintains that "Jesus did not think he was divine," nor did he "assert any of the messianic claims that the New Testament attributes to him." "He was meek, and merciful. "He was criticized for associating with sinners. "He celebrated a last supper. That was Krishna, born in 3228 BC in India. Jesus was a Jewish Communist? Communists do not generally believe in the Divine. 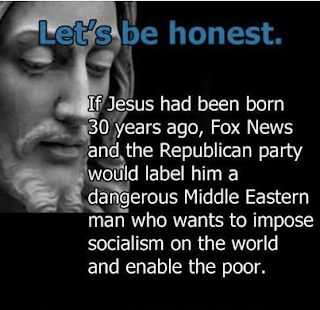 However, Jesus appears to be a bit Socialist. "All that believed had all things in common. "And sold their possessions and goods, and parted them to all men, as every man had need." "For as many as were possessors of lands or houses sold them ... and distribution was made unto every man according as he had need." Jesus said: "You cannot serve both God and Money." 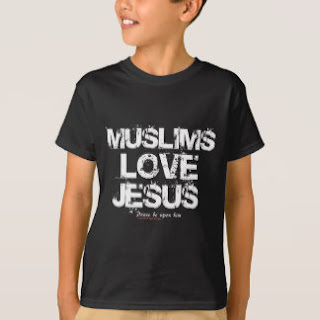 Jesus is an important figure in the Koran. In Christianity, "There is neither Jew nor Greek, there is neither slave nor free man, there is neither male nor female; for you are all one in Christ Jesus." Which is more important - the person of Jesus or the ideas of Jesus? The History of Jesus is disputed. The ideas of Jesus may not all be unique to Jesus. "Do not return evil to your adversary. "Requite with kindness the one who does evil to you, Maintain justice for your enemy, Be friendly to your enemy." Jesus was not the first to teach 'Love Your Enemy'. "Shame on him who strikes, greater shame on him who strikes back. "Let us live happily, not hating those who hate us. Let us therefore overcome anger by kindness, evil by good, falsehood by truth. Do not hurt others in ways that would be hurtful to yourself." "Regard your neighbor's gain as your own and your neighborʼs loss as your own loss. "Whoever is self-centered cannot have the love of others." "The good deed and the evil deed are not alike. The 'official' History of Jesus is suspect? "He was baptized in a river. "In his youth he astounded wise men with his wisdom. "He was tempted in the wilderness by the devil. "He began his ministry at age 30. "He cast out demons and restored the sight to a blind man. "He taught about heaven and hell, and revealed mysteries, including resurrection, judgment, salvation and the apocalypse. "He had a sacred cup or grail. "His religion had a eucharist. 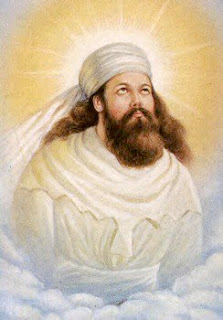 Zoroaster’s followers expected a 'second coming' in the virgin-born Saoshynt or Savior, who is to come in 2341 AD and begin his ministry at age 30, ushering in a golden age. 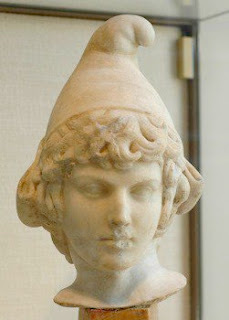 Attis was born on December 25 of the Virgin Nana. On 'Black Friday,' he was crucified on a tree, from which his holy blood ran down to redeem the earth. After three days, Attis was resurrected. The Psychotherapist & Self Acceptance. Essential Secrets of Psychotherapy: What is the "Shadow" by Stephen A. Diamond, Ph.D.
Fr. John A. Sanford, in his 1970 book The Kingdom Within, sees Jesus's instruction "love your enemies" as an attempt to help us deal with all the parts of the whole, the 'dark side' and the 'good side', without hurting anyone. Professor Wallace Clift has looked at Jung's view of humanity as "a story of developing consciousness". 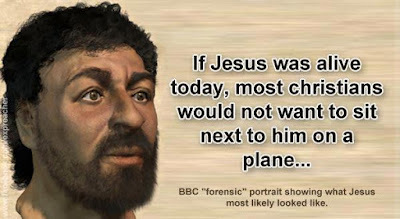 The early Christians had various theories about Jesus. Jesus did not become 'officially' divine until 325 AD. This was when the Council of Nicaea, set up by the Roman emperor Constantine, decided that Jesus, like many Roman Emperors, was divine. Most scholars agree that Jesus did actually exist. "Amy-Jill Levine states that ... 'there is a consensus of sorts on the basic outline of Jesus' life' in that most scholars agree that Jesus was baptized by John the Baptist, debated Jewish authorities on the subject of God, performed some healings, gathered followers...."
In The Historical Jesus; Five Views, Robert Price suggests that the story of Jesus in the Gospels contains borrowings from pagan mythology. In the same book, Professor Luke Timothy Johnson lists all the things historians can know with 'a very high degree of probability' about Jesus - Jesus taught in parables, Jesus healed people, Jesus taught about God's Kingdom. Does the story of Jesus show strong parallels to myths of dying and rising gods? "Early in the 20th century, Gerald Massey argued that there are similarities between the Egyptian dying-and-rising god myths and Jesus. 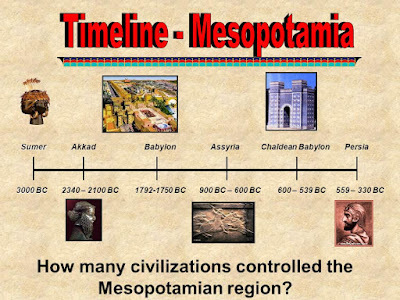 "Massey stated that the biblical references to Herod the Great were based on the myth of 'Herrut' the evil hydra serpent." However, the existence of Herod the Great "can be well established without reliance on Christian sources." In other words, Herod was not Herrut. "The overall scholarly consensus is that while the examples provided often involve death of the deity, they do not generally involve resurrection of the same deity. "Eddy and Boyd state that upon careful analysis, it turns out that there is often either no death, no resurrection or no god in the examples used to construct each of the examples in the category. Is Christianity similar to the Roman religion Mithraism? Early Christian authors "took an extremely negative view of Mithraism" and saw their practices "as evil copies of Christian practices." Stanley porter notes that "Mithraism only reached Asia minor in the latter part of the first century, after the basic elements of the gospels were in place, and hence could not have influenced the essential elements of the gospels." David Strauss (1808–1874), a German theologian, believed that Jesus was baptized by John the Baptist and that the encounter had influenced the views of Jesus. Strauss believed that the divine spirit was embedded in all of humanity. In 1890, Sir James George Frazer published the first edition of The Golden Bough which showed "the shared elements of religious belief." Frazer himself believed that Jesus existed. William Benjamin Smith (1850–1934) argued for a symbolic interpretation of the stories about Jesus. Smith argues that in the parable of the Jesus and the rich young man there never was a young man, and the young man symbolizes the nation of Israel. What evidence is there that Jesus was (A) an opponent of the Establishment, or (B) a tool of the establisment? 1. Jesus shared meals with outcasts, which annoyed the Pharisees, strong supporters of the laws and traditions of the Jewish people. Jesus said: "Be on your guard against the Doctors of the Law, who like to walk about in robes and be saluted in the streets... who devour the livelihood of widows..."
2. Jesus talked of 'good people' being his 'brothers' and 'sisters'. 3. Jesus urged people to 'renounce self'. Jesus said: "If anyone wishes to be the first, he must be the last of all and the servant of all." Jesus said: "Why do you call me good? No one but God is good." 4. Jesus said: "How difficult it is for men of wealth to enter the Kingdom of God." What about Quantum Physics, Jesus and Intuition? "Quantum physics has proven that the belief of the observer is translated in the test tube. "Each energy packet can become particle or remain as energy depending on the expectation of the observer. "This is known as the observer effect. "As the Quantum physicist has discovered, our beliefs come true. "This is the key to the kingdom which we forgot shortly after birth. "Our parents probably forgot that we are connected, just as they are connected to the One. "In this same way, Herod of Judea forgot that he and Jesus were both born of the Creator/Father/One. "Herod attempted to kill Jesus by ordering all the newborn children of Bethlehem to be slain. "But, since Joseph was attentive to his intuition, (for intuitive training go to Andrea Hess...) he was warned by the One/Creator/Father to flee to Egypt. "Jesus was safe during His childhood. 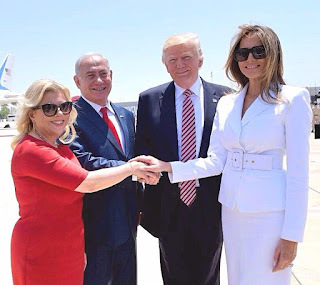 They only returned to Israel after they were told of the death of Herod. "When Jesus was grown, he fasted for 40 days and 40 nights before beginning His ministry... a month of fasting will cause an altered state of reality. "Jesus told the Ego to get behind Him because it is only the One/Source/Creator who would be served. "To accept our identity as co-Creators with the One, we must put our finite Egos behind us. "Our Subconscious mind is connected to our Higher Mind and to the Creator/One/Source. "The Ego is only connected to our conscious minds and helps keep us involved in this physical world. "But, at the same time, we must learn to influence our Subconscious Minds in order to create our reality..."
What normal person would curse a tree? At the Council of Nicaea in 325 AD, the Vatican 'fathers' deleted around 47 gospels that didn't agree wit the Brave New world they were trying to create. Including--YES--the Gospel of Judas. The Gospels that didn't fit their creation of a a different form of Christianity were destroyed and that's what's got to us to now. ACTUAL History can be so messy, so let's destroy out for the Vatican's benefit. The Vatican is head of the catholic church and can be greedy, corrupt and everything wrong, but remember, it is still the head of the church. In this world we have to deal with people, also at tje Vatican. The problem with people is tat they can be corrupted. In the history of the church we have had several times a totally corrupted Vatican - like we have today. But it was always amended by the good men who are still today in the church. Let's pray this will happen soon. The catholic church is the church of Jesus and He promised that she will never be ruined. For everyone interested in what the world was when the church and the Vatican were truly christian, read ' History of the Protestant Reformation in England and Ireland' by William Cobbett. It is online . All the problems we have today; central banks, national debts, interest rates, a world destroying industrialization and a very greedy and powerful elite, stems from the Reformation. In addition to my former reply. The more I dwell on Jung, the more I realize his archetypal approach while sympathetic and indeed comprising Jesus, relativizes him as being one of many Messianic-like figures, essentially emptying Christianity of its divine and historical singularity. 'Which is more important - the person of Jesus or the ideas of Jesus?' Perspective? Claim to know-God'rs -- with more evangelical of readings -- could challenge some of this. With interpretations and history, following along the liberal/evangelical divisions, come spectrum. This said -- nothing should discourage us from reaching out to God, and 'where we're at'. Proclaims is reaching towards, us: One to one. Yet, 'ideas vs. person'? The Gospels' declare 'the person' proceeding, ideas and theory. The big-ish... engaging with this present one. Essential understanding: The creator's character. Is God this good, willing, and able? So the suggestion: 'The History of Jesus is disputed. The ideas of Jesus may not all be unique to Jesus.' Yup. But again, some of the Pagan pre-Christ revealed stuff is more... dispute-ville. OK, could go on, and on, and... Leave with a response to comment re; '...curse a tree?' Did this: truthscoop.net/Aggression-on-Trees-and-Blogs -- my taker-rooney. As usual, must come back to this post later and consider on. Near-on all blogs wouldn't have the boldness the keep digging, manage to remain open as... and yet, provoke, with limited prejudice. Troublesome for certain zealots pro and con. Respect these presentations and reckon rare online outreach/good-news. Have you ever looked at the talmud, the sacred book of the jews. In it, Jesus and His mother are excoriated in a most vile manner. Rather revealing actually, in that no other book dares to say such wicked filth. It does prove Jesus existed. Why would "scholars" devote pages of their holy book to a myth? Because He pissed them off so bad they memorialized Him forever.